In the last few years the range of materials available for 3D Printing has expanded at an exponential rate, different materials offer increased functionality – adding to the range of applications and designs since PLA or ABS was introduced. 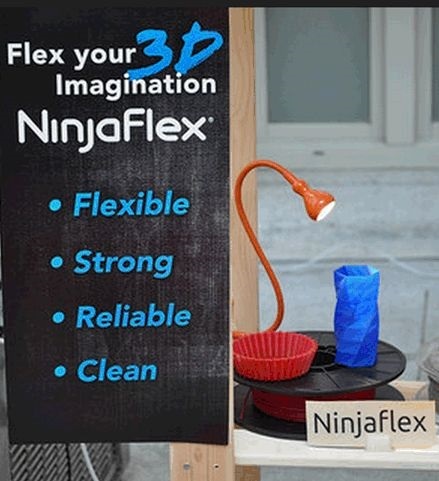 NinjaFlex from Fenner Drives is an ultra-flexible, extremely strong, specially formulated thermoplastic elastomer (TPE), which allows you to create flexible prints with elastic properties. Flexible filaments behave differently to rigid plastics, and while we cannot give tips and advice for every printer on the market (as there are so many), we hope that you’ll find these general guidelines useful when creating your own flexible prints. 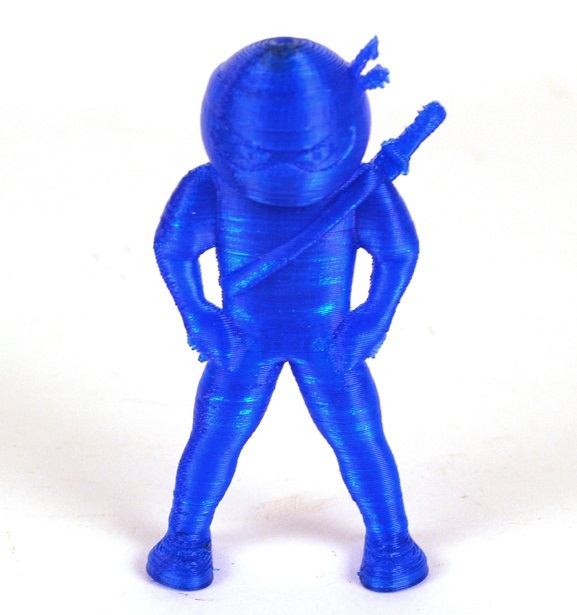 NinjaFlex behaves similarly to ABS and is ideal for use with 3D printers that have direct-drive extruders, it can, in many cases be substituted in prints designed for ABS. It typically works well using similar extruder settings to ABS; however, adjusting the retraction settings on the printer can improve stop/start quality. For best results, it may be necessary to reduce the print speed to 30mm/s. Once the printer settings are programmed, NinjaFlex should deliver similar detail to rigid materials, however for tall thin parts, you may need to design supports to prevent the model from flexing as the print head traverses. 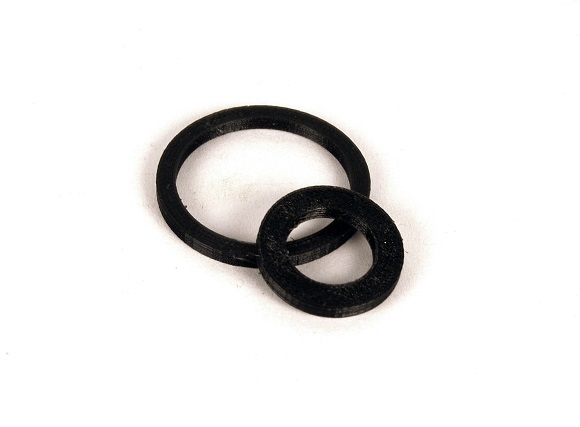 In order to feed the flexible filaments properly, a spring-loaded mechanism with roller bearing is considered the best option. Ensure that the extruder supports the filament between the exit of the drive gear and the entrance to the melt chamber. NinjaFlex has a low friction surface, and has been specifically formulated to reduce surface tack; allowing the filament to feed more easily, the use of PTFE guide tubes help to further reduce pull at the extruder. 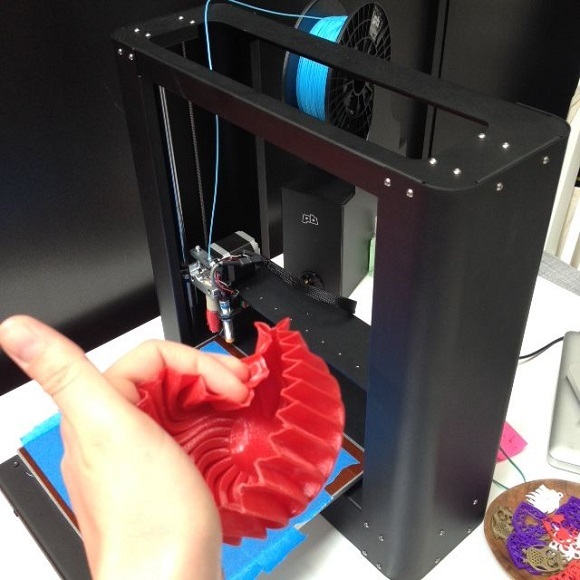 In general, Bowden extruders are not the best option for printing flexible filaments such as NinjaFlex due to the distance between the stepper motor and extruder head; however, some people have produced successful results by printing at lower speeds. NinjaFlex filaments bonds well to most surfaces, including glass and aluminium and glass so coating the build platform is not necessary. It is not necessary to have a heated build plate to successfully print with NinjaFlex. Polimide tapes (e.g. Kapton) can be used with NinjaFlex, however the adhesion of the printed part to the tape can sometimes be stronger than the adhesive holding the tape to the build platform. NinjaFlex’s low surface energy means it does not typically bond well with adhesives; 3M and Gorilla Glue will provide moderate bonding. The best way to join 3d printed parts is with a hot knife welder. When switching from another polymer, such as ABS or PLA, it is best to purge your machine thoroughly before starting a print. When preheating, use a lower temperature (~180-200°C / ~356-392°F) to prevent excess material from draining prior to starting a print. NinjaFlex should be printed in a well-ventilated area as TPE products are capable of releasing small amounts of fumes at high temperatures. While generally considered less odorous and more tolerable than ABS, care should be taken to minimise exposure to these fumes, particularly among sensitive persons. 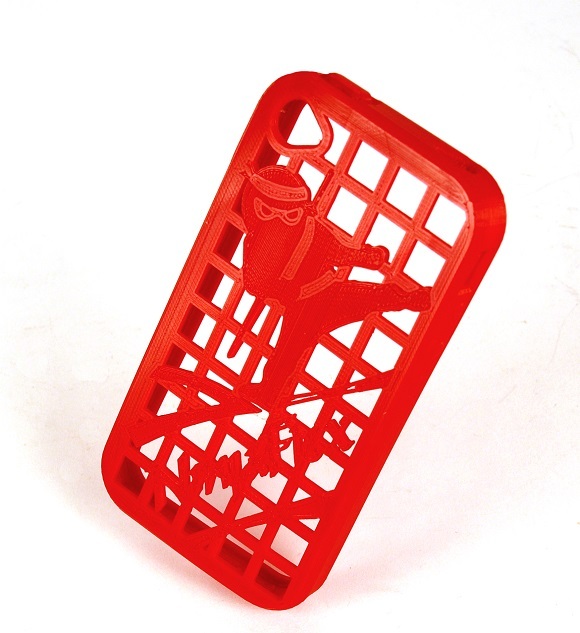 The recommended maximum temperature for NinjaFlex printed parts is 66°C (150°F), and the minimum temperature is -30°C (-22°F), below this the parts will become increasingly brittle and may shatter. If you have any NinjaFlex questions you can join our friendly support forum at www.ninjaflex3d.com or tag @AskNinjaFlex on Twitter. Hello. I see you are using the printrbot metal plus. I am having some trouble printing ninjaflex with this machine. 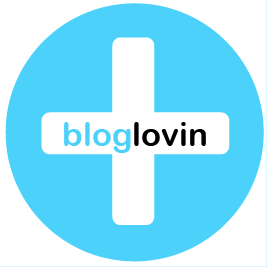 Would you mind sharing your settings?